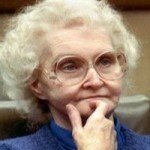 Dorothea Puente ran a good boarding home. Despite being in her 50s, she was still sprightly enough to care for the men and women who paid the $350 per month to enjoy her food and custom. The people for whom she cared were recovering from certain socially-awkward afflictions, and there didn’t seem to be anyone in her tenants’ immediate families available to look after them.